Coto de Caza is twenty minutes from the San Diego Freeway (Interstate 5) and 5 minutes from the Foothill Toll Road (State Route 241) to Irvine and thenRiverside County. 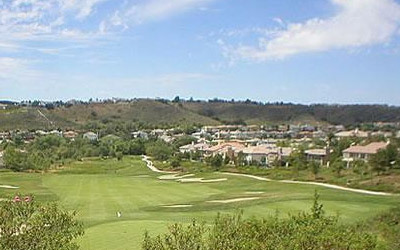 The CDP is a suburban planned community of about 4,000 homes and one of Orange County’s oldest and most expensive master-planned communities. The project began in 1968, when it was envisioned as a hunting lodge, now the Lodge at Coto de Caza, and the community was completed in 2003. Around the town, there are still undeveloped lots available for purchase. The majority of the community is tract housing, with collections of custom-built homes on the outskirts off the main streets. Electrician in Coto De Caza, California to serve you with personal, friendly, reliable, experienced and lasting service for electrical repairs, installs, and upgrades. Call us at (714) 744-4300 or (949) 857-8385. Our professional Coto De Caza electricians can come to your Coto De Caza home and diagnose any problem you may be having. Our trucks are fully stocked to ensure that we have the right tools and materials to ensure the best service for your home. We will do all your electrical work personally to guarantee an excellent job for you. All the electrical materials we install for your project will be the finest that are available. Any Commercial building or place of business can use a wide range of Coto De Caza electrical services, whether it is maintenance or installation. Dedicated circuits to avoid overloading of the circuits and circuit breakers. Energy saving lighting both inside the building as well as outside. Proper voltages to the machines and equipment ensures a longer running time with less problems. Parking garages and outside parking lots should always have sufficient energy saving lighting. One Coto De Caza commercial electrical service is if the light fixture does not have energy saving lamps and ballasts, electricians can retrofit the light fixtures making them energy efficient which will lower electricity bills and save electricity.